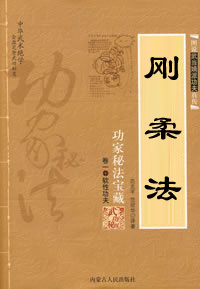 The words hardness or in Chinese “gang” and softness or in Chinese “rou” come from Zhou Yi Book, in which there is a sentence saying “the hardness and softness make exchange with each other, and this process bring out changes”. In traditional Wushu, hardness and softness are believed to be a pair of contradiction. For example, stability, toughness, heaviness and exposure mean hardness, while emptiness, lightness, cleverness and implicitness mean softness. In wushu theory, kungfu masters believe that the hardness is easy to be beaten, and the softness is easy to be dissolved. And they always highlight on the combination and inter-aid of hardness and softness. Inter-aid of hardness and softness: In wushu practice, the trade off of hard force and soft force is called as Inter-aid of hardness and softness. in technique of traditional wushu, hardness means Yang force, and softness means Yin force. Combination and inter-aid of hardness and softness is one substantial request of all boxing styles of Wushu. Meanwhile, the onlyness and pureness of hard force or sofe force is considered one fault in force traning. And of course, there are quite diffent requries in force training according to different kungfu styles.